Sharon is an accountant, mother of two and is married. Formerly a personal trainer at a gym she decided to leave it to chase her own goals. Sharon decided to take her shed from man cave to pain cave. She and her husband have pieced their garage gym together over time to what it is today. Results include adding 20 pounds to deadlift and press, 3 strict pull ups, all while losing 13 inches on her body. "Find yourself a motto and stick to it. Mine is ‘stop wishing and start doing’." Sharon decided to leave her job as a personal trainer to go back to being an accountant. But when she would return to workout she found her gym visits to be more social than about fitness. Her husband convinced her to turn their shed, current man cave, into a garage gym. Over time they pieced together what they have, buying new equipment for Christmas, making a ploy box, or finding great deals on Craigslist. 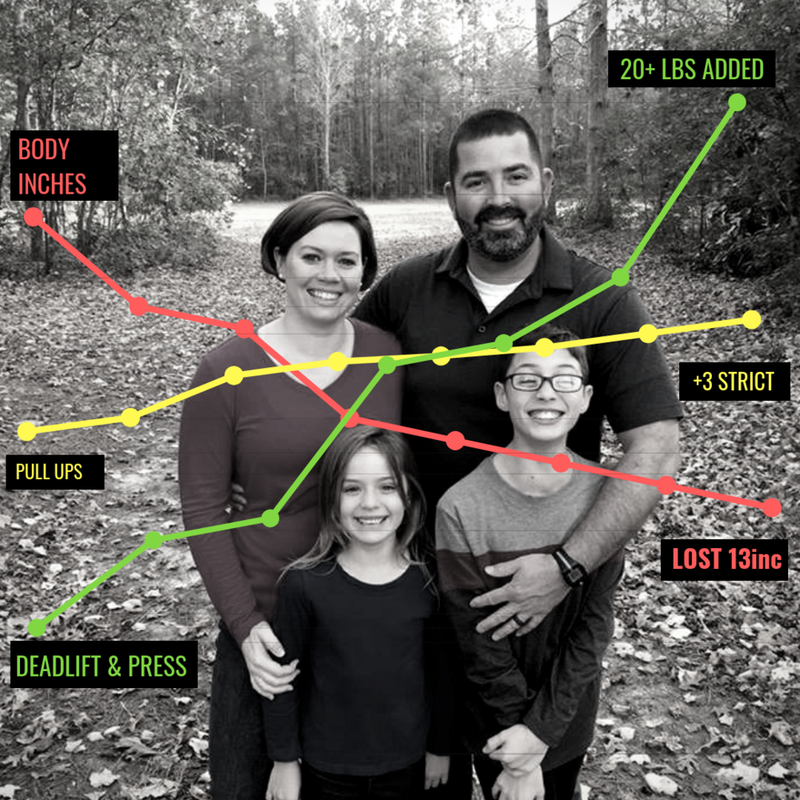 When the transition first happened she found herself programming hopping a little, eventually getting into both Spartan races and CrossFit. Originally she was working out to be more comfortable with herself and become a better human. Now she is all about putting more weight on the bar and getting more PR’s. Even though at times she struggles to motivate herself and find time, she knows she has to put her self and her health first on occasion. She loves being able to crush bodyweight movements and some other very challenging workouts. At times she misses the people and the interaction of a Globo Gym but wants to stay dedicated to a program and work on her goals. Once Sharon realized she need to get serious and tackle her fitness goals on her own and break away from what she knew for so long, she found massive success in having a garage gym.